We will make your car and sponsors look great, while you leave the competition behind! 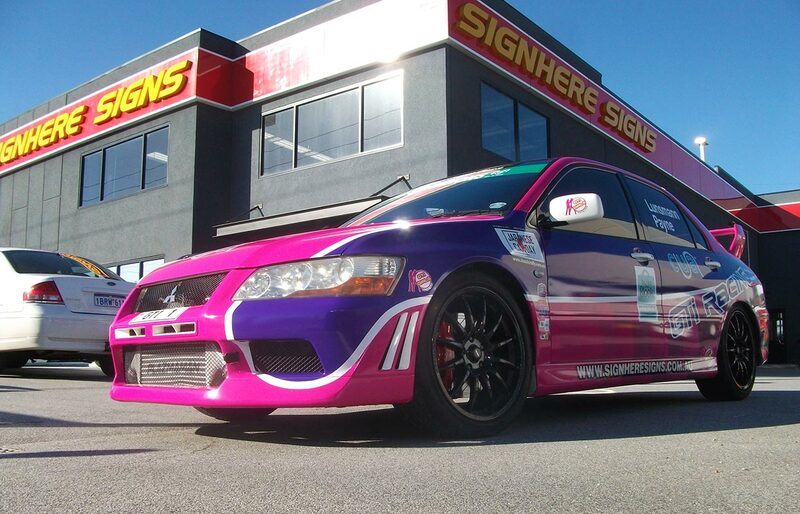 Sign Here Signs is the proud sponsor for the Sign Here Signs Motorsport Mitsubishi Evolution 10. 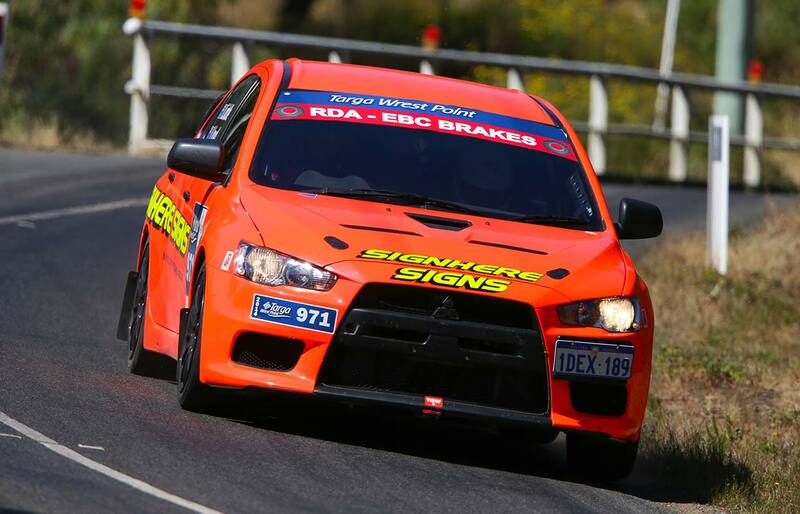 Through our association and involvement in the motorsport scene, Sign Here Signs has found itself taking on various sign writing jobs making the rally and race cars look the part whilst they chase the win. 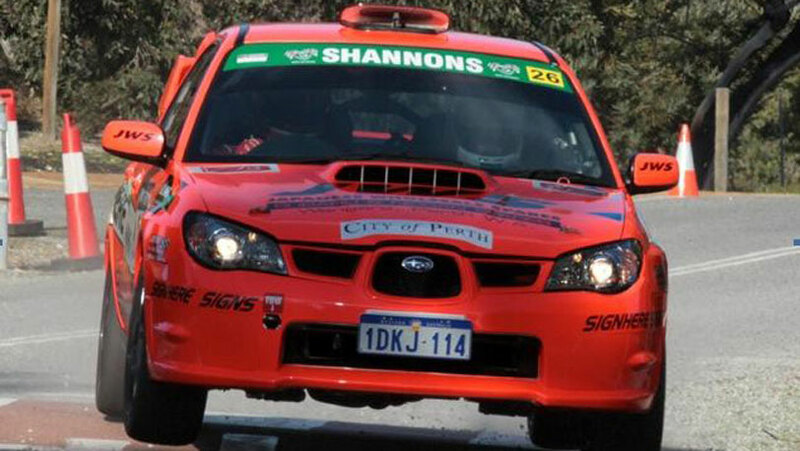 From the nations biggest rallies, including the Targa Australia Series, Australian Safari and the CAMS State Speed Event Series, you’ll be able to see some of our handy work. 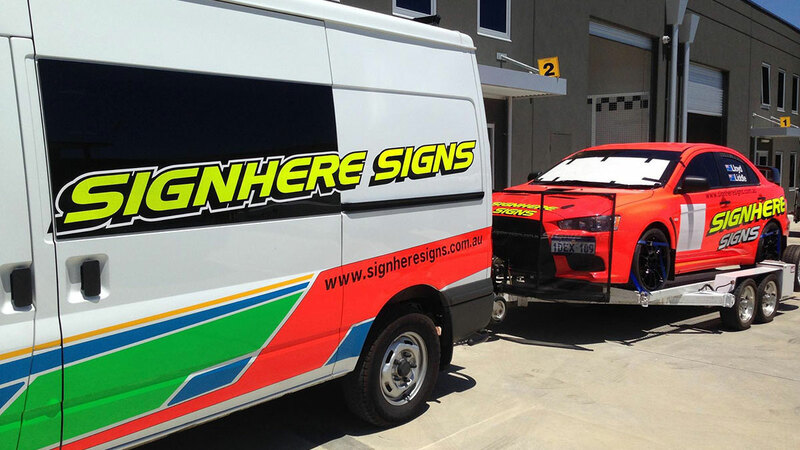 Sign Here Signs offers a wealth of knowledge around race car graphics, understanding that great design is key, but the quality is also integral. From full graphic wraps, to paint work, race safety decal packs and vehicle number or drivers names, there no area of race car signage that we haven’t had our hand in. The Sign Here Signs Evo 10 is the ultimate type of signage pack. Through its various iterations, the Evo currently sports a complete Neon (Fluoro) Orange wrap, from nose to tail, this car will be seen and will be noticed. It’s this level of attention that keeps the nations race car drivers and builders coming back to Sign Here Signs because a race car seen, is the best promotion a brand can get. 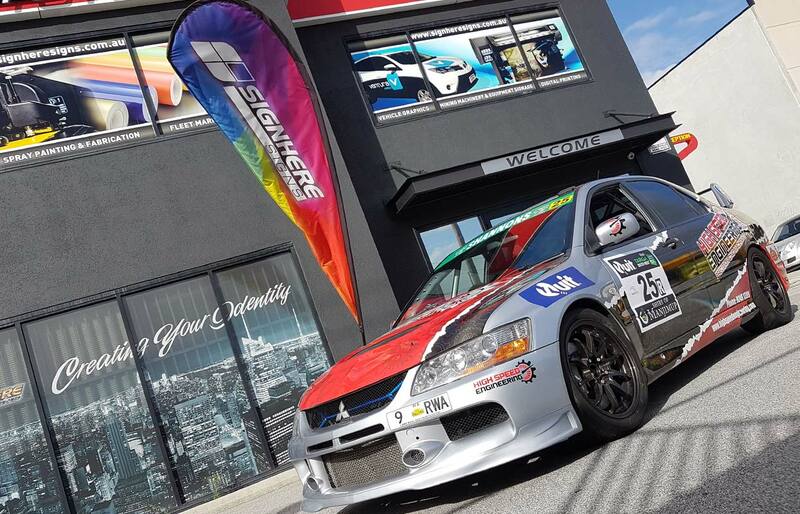 You can check out the Sign Here Signs Motorsport Mitsubishi Evo 10 on its Facebook page, keeping up with it’s progress and watching it’s changing face as we continue to push boundaries with it’s signage and wraps.